Saturn progress will put your life in order! With Saturn direct in Sagittarius, certain changes will occur in your life. Read here to know what these changes might be, and the astrological significance of this major phenomenon. Saturn is considered a malefic planet as per Vedic Astrology. Lord Shani is also known by the name of Karmphal Data, and maintain balance in the worlds by offering results to humans as per their deeds. When Saturn aspects a person or influence him/her malefically, then obstacles, pains and sufferings occur in the life of that person. There are several mythological stories related to the wrath of Lord Shani like King Harishchandra, King Nal and Queen Damayanti, etc. These eminent people in ancient times have to face several pain and sufferings due to the malefic effects of Saturn planet. At the same time, if Saturn is favourable on a person, their life becomes blissful. As it is known that Lord Shani offers people the outcome of their good or bad deeds. Therefore, the only way to appease the God is to follow the path of righteousness and perform good Karma in life. Also serve the poor and miserable, and avoid lying and deceit. 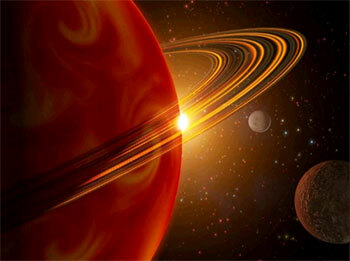 In Vedic Astrology, Saturn transit is a significant phenomenon. This is because Saturn stays in a Zodiac sign for about 2.5 years. Currently, Saturn is transiting in Sagittarius. From April 18, 2018, it started its retrograde motion in this sign. But, from today, i.e. September 6, 2018 at 5:02 PM onwards, it will become direct in Sagittarius. With Saturn’s retrograde motion, natives of all Zodiac signs were suffering from various problems. But now as the planet will be in progressive motion, all their pain and sufferings would come to an end. 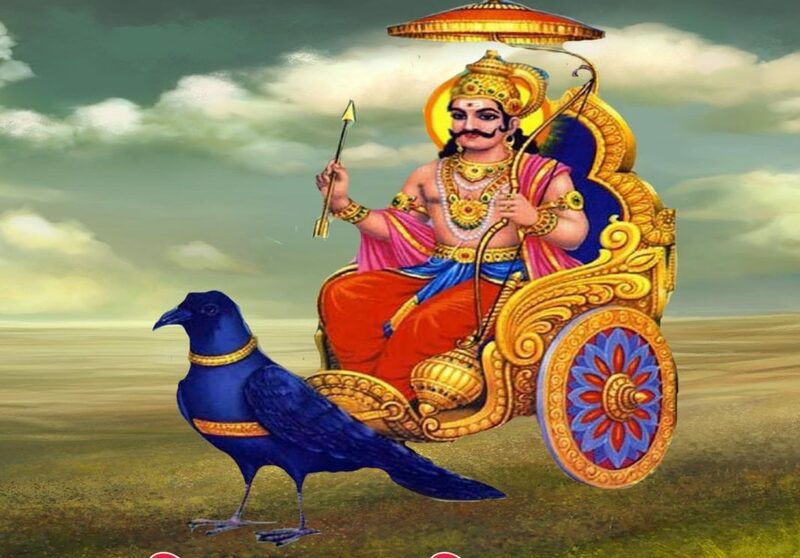 Also, Lord Shani is the significator of Karma and services, therefore he will influence the profession and business aspects of people’s lives. This direct motion of Saturn (Lord Shani) may bring tremendous profits for the natives of Aries. With his blessings, your income would increase. Additional sources of earnings would also occur. Professional natives may get a promotion or an increment in salary. Problems from your opponents would also come to an end. If there are tensions in relationship with your family members, they would end as well. REMEDY: Perform Lord Shiva Rudrabhishekam at home on Saturday. Saturn direct will bring good luck for the natives of Taurus. During this progressive period, all problems and sufferings in your life would end. Success in job or business is likely. Additionally, sudden bigger profits in new job or business may occur. Also, benefits in education and love relationships are presaged. REMEDY: Chant Mahamrityunjaya Mantra regularly. For Gemini natives, this progressive motion of Saturn would offer mixed results. You would yield positive outcomes in your personal and professional life. Where your respect and fame would increase at workplace, differences of thoughts and disputes with your spouse would also come to an end. You might also hear some good news with the blessings of Lord Shani. However, increase in expenses may create problems for you in this period. REMEDY: Do recite King Dashrath created Neel Shani Stotra. This progressive period would bring peace to the natives of Cancer. If there is any legal dispute, it would end. You would dominate your opponents and would get successful as well. Obstacles in the education of students would also eliminate. If your children are suffering from any health issue, it would improve. However, you may suffer from an old disease during this period. Disputes with your spouse would also get resolved. REMEDY: Donate a mustard oil filled bowl (Katora) after seeing your shadow in it. Leo natives would gain benefits as well as attain auspicious results with Saturn direct in Sagittarius. Your income and fame would increase at workplace. However, keep a tab on your spendings, as increase in expenses may affect your budget. You may hear some good news from your children. At the same time, if you are suffering from some old disease, it would improve and your health would get better. There are chances of job change as well. REMEDY: Donate black Sesame seeds or whole (Sabut) Urad Dal on Saturday. Direct motion of Saturn will prove to be beneficial for the natives of Virgo. Materialistic comforts like property and vehicle might be attained with favourable influence of Lord Shani. Victory in court related matters is also presaged. Mixed results in Career domain might be experienced. If your mother’s health is not good for a while, it would get better in this duration. You will have to work hard to get success in all the important aspects of your life. REMEDY: Regularly chant Shani Beej Mantra “ॐ Pram Preem Proum Sah Shanaischaraya Namah”. With this progressive motion, Lord Shani blesses the natives of Libra with lots of happiness. Mental tensions will evaporate and you would find peace. Your courage would increase, and your decisions making ability would also improve. With less tensions in your life, you would make better decisions about important matters at hand. Long distance tours or higher education abroad are likely. Rise in income and control in expenses would make you happy. Problems related to younger siblings would also end. REMEDY: Water and worship Shami tree on regular basis. With the Lord’s blessings, Scorpio natives would get promotion and profits in business. If you are searching for a job, your search may yield you promising results this time. Efforts made earlier would also reap you rewards in this duration. Reduced mental tensions will help you perform well in every aspect of your life. REMEDY: Help the poor and needy as much as possible. Since Saturn is already transiting in Sagittarius, after its retrograde motion, now it is direct here. Therefore, this progressive motion would offer promising results to the natives of this sign. With the blessings of Lord Shani, all your problems would be uprooted, and mental tensions would also be eliminated. Happiness would grace your family life, and relationship with your spouse would also improve. This period of Saturn direct would be especially beneficial for your siblings. With Saturn’s influence, you would become more busy at work. You are advised not to be haste or careless in your activities. REMEDY: Feed sugar and wheat flour to ants. Also read: What is Shani Sade Sati and its Influence on Your Life? All problems in your life would end with Saturn direct in Sagittarius. You would progress at workplace and would also gain monetary benefits. You would also gain new sources of earning, additional to your income through job or business. Though this will add to your overall earnings, but expenses on materialistic comforts would also increase. Your enemy and opponents would not be able to overpower you. Long-held tasks would get finished this time. Chances of foreign trip is there. New status as well as fame would be achieved in the society. Direct motion of Saturn would offer optimum results to the natives of Aquarius. Your sources of income would increase. If you are searching for a new job, you would get successful. You would also get respect in your workplace. All your wishes and desires would come true with the blessings of Lord Shani. REMEDY: On Saturday, wear best quality Sapphire (Neelam) gemstone during Shani Nakshatra and Shani Hora. With the blessings of Lord Shani, your income would increase and your status at work would also grow. Professional people may get a promotion in this duration. Some lucky natives may also go on a foreign tour. However, pay attention to your mother’s health, as it may get affected during this period. Students would reap rewards for their hard work. Busy yourself, and try to avoid any kind of dispute. REMEDY: Behave well with your colleagues, and clean the area around the main gate of some religious place. “There is none who gives so much as Shani and none who ruins as much as Shani.” - according to an old Tamil proverb. Shani is considered as the most feared, problematic and respected Lord. The deity is also known as Shaneeshwara, Pingala, Shanaishchara, Souri, Konastha and Manda. He is the son of Surya and Chhaya, sibling of Yama (God of Death) & Yamuna and married to Sati. Shani has a dark appearance with black clothes and sits on eagle with a shining gold crown. Shani is also known as 'Shanaishchara', meaning the slow mover. He passes through a sign for approximately 2.5 years; therefore he takes around 30 years to pass through the complete zodiac. Maha Dasha (major period) of Shani lasts for 19 years. When Shani transits through 12th, 1st, and 2nd house from the natal moon, then it is known as Sade Sati as it lasts for 7.5 years. It is believed that Shani Dev is a great devotee of Krishna and therefore, he does not harm the devotees of Lord Krishna (especially on Saturdays). Slowdown of the matters, obstructions and delays. Separation from parents, friends or spouse. (1st House): The natives enjoy long and noble life. They are economical and succeed in their initiatives. Also, they begin any work only after a detailed study; but they are stubborn in some matters. Due to the presence of Shani (Saturn) in 1st house, the natives remain unsatisfied in their achievements. (2nd House): The natives are argumentative and live an irregular life. They marry early and in some cases marry twice. They are not too much educated and are addicted liquor. (3rd House): The natives are friendly short tempered, atheist but, enjoy a luxurious life. In their lifetime, they are benefited by their siblings. (4th House): Shani in 4th house from the Lagna causes trouble to the mother of the natives. Stomach troubles are possible for the natives and they have a wavering mind. (5th House): Saturn in 5th house signifies is not favorable for the father, daughter and son of the natives. They are easily prone to quarrels with the government. (6th House): Shani in this house brings fame and success for the natives in one or the other field. They face nervous weakness and lack of energy. Mental trouble is also possible due to frequent borrowing. (7th House): Saturn in 7th house causes spouse-related problems. They are interested in traveling and have chances of marrying twice. (8th House): The natives have a long life but, deal with sufferings throughout their life. Failure in work or enterprises are also possible. (9th House): Saturn 9th house signifies risk to native’s father. They are frequently prone to accidents and suffer from poverty in early youth. (10th House): The natives have a religious mind and perform religious acts judiciously. They are associated with iron industry and undertake frequent tours. (11th House): Saturn in 11th house signifies high intelligence and wisdom. The natives have long life and enjoy comforts and luxuries. They reach the top position in life. (12th House): Politeness and ability to handle every problem results when Saturn is in 12th house. The natives have a spendthrift nature which creates problems for them. Have you ever heard an astrologer telling you about some planet looking at other planet? Sometimes, they use the term “Drishti” for this action of looking, which is a Sanskrit word. However, in English, when a planet looks at other planet, the process or action is known as ‘Aspect’. Each planet has 7th or direct aspect. It means that each planet aspects the planet sitting 7 houses across; and is called direct aspect because 7th is always vertically opposite. But, Jupiter, Saturn and Mars has additional aspects; and in this article, we are going to analyze its reason. This is a question that arises into astrology students' minds and astrology books don't answer it well. This question can be answered in many ways and let me share my views on it. First way to look at it is based on the distance and placement of the planet in solar system. Mercury, Venus and Moon are placed between Sun and Earth. As Sun is the source of energy and light, Sun’s energy comes to Earth directly from Sun, Mercury, Venus and Moon. Due to this, these planets have only 7th aspect. On the other hand, Mars, Jupiter and Saturn are outer planets, means Earth is placed between Sun and these outer Planets. So, energy from these planets comes to the Earth due to reflection like we throw torch light on mirror and gets the reflection. Due to this reflection, these planets have additional aspects in 3 ways. It depends on their distance from Earth as it becomes wider and squarer as the distance increases, like Mars is 78.3 million km away from the Earth and Mars has 4th and 8th aspects, Jupiter is 624.4 million km away. So aspects from Jupiter becomes a bit much wider, having 5th and 9th aspects. Saturn is more far away from Earth, that is 1.25 billion km. So, it gets the most wider aspect like 3rd and 10th. We can say that God has placed these planets on a specific position and distance to affect us. There is another way to understand additional aspects of planet by the way of signification. In astrology, Mars tells about property, happiness, life, death and many more. In astrology, property and happiness are related to 4th house whereas longevity is related to 8th house. That is not all, Mars is a soldier, and protects the land, which is signified by 4th house. Mars is also considered thief that gives unearned and hidden money; these matters come under 8th house. Mars fights with enemy and denotes fight and death, that may be another reason for giving Mars 8th aspect. Seeing this resemblance of Mars to the matters related to 4th and 8th house, I believe that he has been given 4th and 8th aspects. Similarly, in astrology, Jupiter tells about children, education, intelligence, religion, spirituality, luck etc. Education, children and intelligence come under 5th house; and religion, spirituality and luck come under 9th house.That is the reason Jupiter has been given 5th and 9th aspect. Saturn tells about will power, Karma and allied things. Will power is attributed to 3rd house in astrology and Karma is attributed to 10th house. No wonder that Saturn has been given 3rd and 10th aspect. Saturn is also about stability, hard-work and patience. These are the matters related to 3rd house in astrology. That may be the reason for giving Saturn additional aspects of 3rd and 10th. So to conclude, I believe that the placement of planets in solar system is one of the reasons. Another reason could be the resemblance of planets results with certain houses. Astrology is such a vast subject that I am sure there will be more reasons. Still, I hope that I would have been able to satisfy your curiosity to some extent. As per astrology the position of Saturn in a Kundali is very important. When Saturn goes from retrograde to direct and vice-a-versa then its impact is huge. On 8th July 2013 Saturn in Libra is going to become direct. Retrograde means to move in opposite direction and direct means to move in the right direction. It changes its sign in every two and a half year. The fact that Saturn is going to become direct from retro will make it rain at many places. The south western places of the country will receive heavy rainfall. At the same time it is predicted that some areas might face a few natural calamities. North eastern states will also see a plenty of rainfall in days to come. There will be inflation in the North eastern states. The prices of seeds will see a high rise. There are chances that crops might get infected by insects. Also, it is likely that the government will change. A few ministers will lose their positions while others will take their place. People will be more tilted towards spirituality and religion. They will also indulge in different religious activities. Aries: Saturn’s change from retro to direct will be very fruitful for Aries. All your problems will end and those who are unemployed will get a good job. It is advised that you should chant Hanuman Chalisa as this will increase the good effects. Taurus: You will face problems relating to health. A family dispute might spoil your mood. It is also likely that you will see financial troubles in the near future. You also might change the place where you live. It is advised that you should water Peepal tree and take 7 Holy rounds (parikrama) around it. Gemini: There will good news for the people of Gemini sign. You will get benefitted from an unexpected source. You get a lot of appreciation for your work and your colleagues will support you. To increase your benefit it is advised to donate a black blanket to a poor man. Cancer: You will get a transfer at a place of your choice. However, the of pace of such things might be really slow. It is advised that you should donate Urad Dal (black pulses) to a poor man or to a temple. Leo: For people of this sign it is likely that you will get great fame and success in business. Also, there is a high chance that you hit a good deal in your business. As a remedy, it is advised that you should see your face in the bowl. Also donate oil to the poor and needy. Virgo: People belonging to Virgo sign will experience that happiness will be scarce. So it is advised to avoid any investments in the near future. Also be careful while driving any vehicle. Put sindoor (vermillion) mark on your forehead taken from the feet of Lord Hanuman’s idol on every Saturday and Tuesday. Libra: You will face opposition from your own people. It will not be appropriate if you do some thing which beyond your authority. The remedy is that on every Saturday you should go to a Shani Dev temple and offer blue flowers. Scorpio: You will experience a lot of obstacles in daily tasks. You will also face a lot of opposition from family and friends. As a remedy, offer water to Shiva linga and respect old people. Sagittarius: You are advised to be very careful while undertaking any task, otherwise you will face losses. Be cordial to your friends and elders as it will bring you fruitful results. Do not invest your money right now and also avoid lending it to someone. As a remedy, offer blue flowers to Shani Dev on every Saturday. Capricorn: You will experience a great deal of stress in terms your business. Beware of strangers as they might cause you harm. As a remedy, offer sindoor (vermillion) and jasmine oil to Lord Hanuman. Aquarius: The time is favorable for the people of this sign. You will feel elated due to completion of a task. Transfer and promotion is also on cards. It is advised to feed grass to a black cow on Saturday. Pisces: The change of Saturn is not very favorable for the people of this sign. Your thinking will be negative but the good news is that you see your children succeed. It is advised that you should offer black Urad dal (black pulse) to Shani Dev on Saturdays. We always emphasize on the fact that the planets which give us pain, also provide us the medicine for that pain. In case of Sahara Shri this seems to be true word by word. 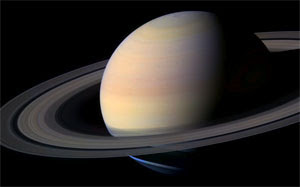 It is said that the Saturn sitting in the 10th house provides fame and reputation on a grand scale. Even a person coming from a modest background will go on to achieve great heights in life. According to Lal Kitab Saturn in this house always gives the best result. However, if the native is doing something related to Sun and Mars then the results might be bad. As a matter of fact, Lal Kitab says in harsh words that such a situation can bring negative results for the native. As per the principles of Lal Kitab, the investment of Sahara Group in real estate and sports will not be considered good. However, there are a few astrologers who are there to guide the Sahara Group, but the question arises as to why they have let the Group go for such attempts. 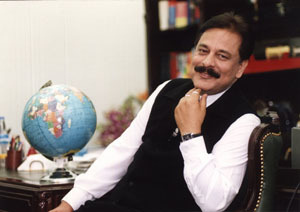 In the Kundali of Sahara Shri Subrata Roy, Markesh is in the planet Mars. This is a positive indication which will produce some good results. Since the Markesh is in Mars, it is not a fact which can be ignored. This can be explained more clearly with the help of an example. Let us say that we have a family rivalry with another family. That family never skips an opportunity to pull you down. A new member is born in that family who grows up to be is a fearless and strong person. That person develops a strong friendship with you and your family by helping you at the time of need. Although he is your friend but that still does not mean that you will make him the owner of your family. But, Sahara Shri Subrata Roy has committed this mistake by doing things related to Mars and Sun. Maybe he thought that Mars had a Rajyog in his Kundali which would help him to earn a lot of profits. Keeping this in mind he gave away the ownership to that fearless friend. Though I don’t know him personally yet based on his Kundali I can say that whenever he has attempted any task on the basis of the significance of Mars the results are always unfavorable. Whenever he has tried to be daring to accomplish a task on a grand scale, he has never succeeded. Daring and fearlessness are traits of Mars and actions taken on the basis of Mars are not favorable for Sahara Shri Subrata Roy. Mars and Sun are considered to be the significators of strength and fearlessness. The person with Saturn and Marakesh Mars in the 10th House should not lock horns with Sun and Mars. Also, he should not do any task related to this. Sahara Shri Subrata Roy has committed this mistake. Sun indicates that he should not lock horns with the people at the influential positions. Mars indicates tasks related to sports like cricket. Owning a cricket team is related to Mars. Now the question arises that the Sahara has previously dressed the Indian cricket team with its name on the uniform. But that was the good effect of Mars as it was that was a task supported by Mars but was not related to Mars. However, the decision to own a cricket team will not be that favorable. The real estate tasks are related to Mars and Sun and they are supported by the Sun. This prediction is based on Saturn and Mars. Normally, all the astrologers have a Kundali of Subrata Roy which might not be accurate. However, the place of Saturn will still be the same and the Marakesh in Ascendant will also be auspicious. Therefore, I have based my predictions on Saturn and Mars. 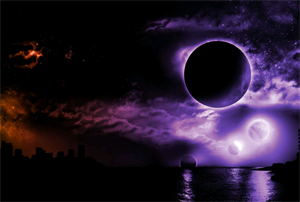 On the basis of the transit of Sun, Saturn and Rahu (Ascending Lunar Node), it can be said that the time period from May to July will not be very good. If the remedial measures of the related planets are not performed on time then they might get the results of the 12th house. The 12th house is related to abroad, hospital and jail. This means Subrata Roy can get any of these results.